Predrag Skokovic is a professional software developer and software tester with many years of experience in the IT industry. He graduated at the Faculty of Sciences, University of Novi Sad, Department of Mathematics and Informatics. He worked for several semesters as a demonstrator at the Faculty of Mathematics, after which he spent several years in a regional bank as system administrator. Then, for more than a decade, Predrag was building his knowledge and experience in a software development company, where he became interested in the field of quality control. By applying an active approach, while leading development teams in numerous international projects, he worked hard to raise awareness about the necessity of including software testing activities,from the idea to the realization of the software. Through many years of dedicated work, he was involved in technical automation projects in the field of medicine and petrochemistry, as well as in the finance and banking sector. The initial enthusiasm to share knowledge has never left him, therefore he has become a regular (and rewarded) speaker at international conferences dedicated to software testing and guest lecturer at the University of Novi Sad. 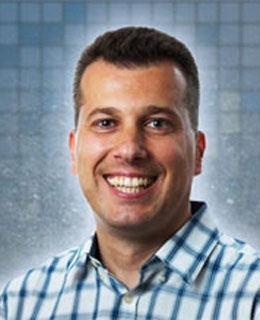 Today, after years of engagement in the world of software testing, Predrag is member of the South East European Testing Board (SEETB), a professional consultant and accredited ISTQB trainer, co-founder and president of the Board of the Test'RS Club, a community of professional software testers and co-founder and managing director of Quality House in Serbia. In today’s world of software development, where some variation of agile methodology is applied, test automation is seen as an answer to achieve high test coverage of code, functions or features of the system under test (SUT). By implementing and executing a number of automated tests found in regression test suite, it is believed that the regression will be put under control, leaving valuable time for testers to explore newly implemented parts of the application. And this is usually done without defining and implementing a proper, adequate approach to test automation. Of course, this works well in the beginning, with small projects of low complexity. However, the initial approach to test automation needs to change by increasing the size of the application, to evolve, in order to accommodate the development of the SUT. At this point knowledge and experience about different approaches to test automation comes to the fore. Although several approaches to test automation have been recognized, in practice it is usually some sort of hybrid approach that saves the day. By understanding what is needed for success in test automation, the development team can adjust to shifts in context and take the test automation effort in a new, optimal direction. During this course attendees will not only hear about different approaches to test automation, but will also exercise a lot on how to design different test automation architectures with the intent to apply the optimal test automation approach. NOTE: Attendees should bring their laptops. Prerequisites will be announced to registered attendees before the course date in order to prepare the environment. Exercises will be based on Selenium framework, in order to demonstrate the success of implemented test cases. Depending on the group preference, Java or Python language will be used. It is expected that attendees have basic knowledge of programming logic. Understand different factors and their influence on the success of test automation. This course is intended for software testers, developers, test leaders, test consultants and others that are involved or willing to become more engaged in activities dedicated to test automation.